Continuing with my week of daisy themed projects, something a bit different today. A very good friend, colleague and customer of mine, Ann, sent me this photo of a card she had made using the Delightful Daisy bundle of stamp set and punch. And I just had to show you. Such a pretty card. 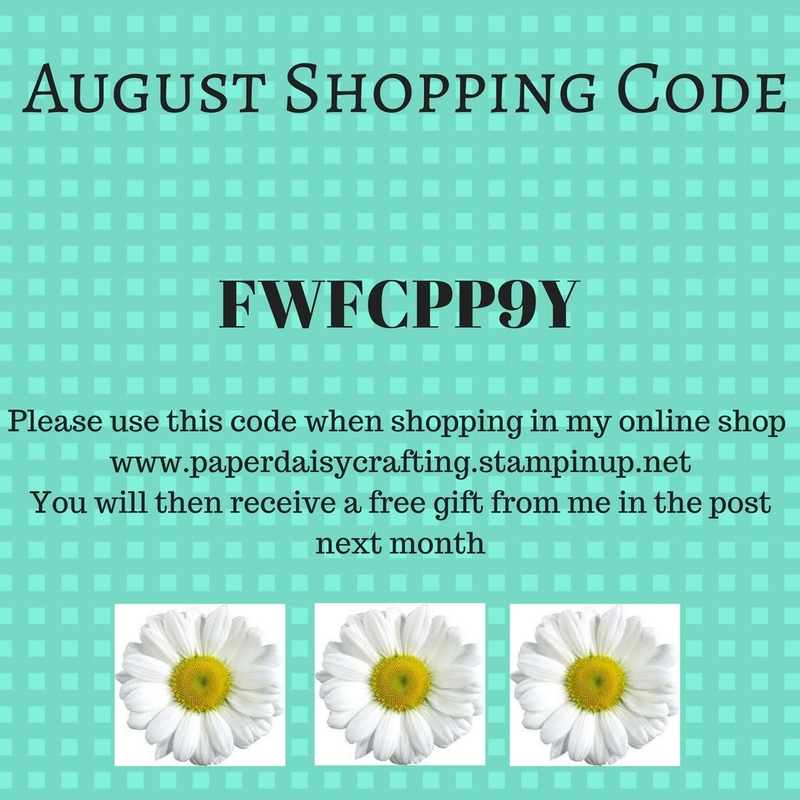 Not all the products Ann has used are from Stampin' Up! but she has made such clever use of that pretty background paper, by echoing elements of it in her bunch of daisies. 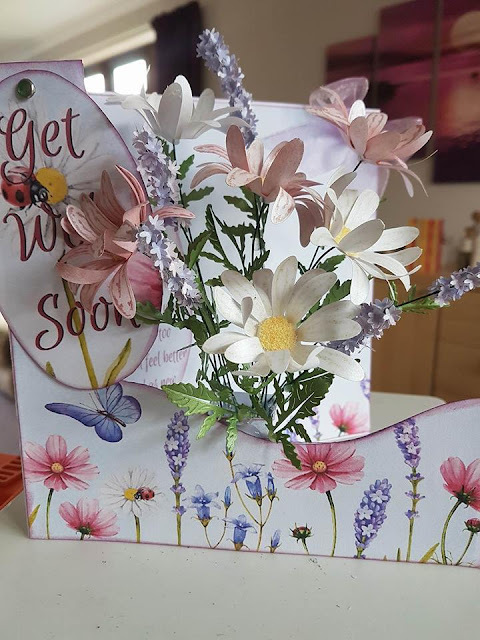 I love the way she has replicated the little stems of lavender and linked some of the daisies using the same pink as the ones on the paper. Hope you'll all agree, this is a fantastic project. 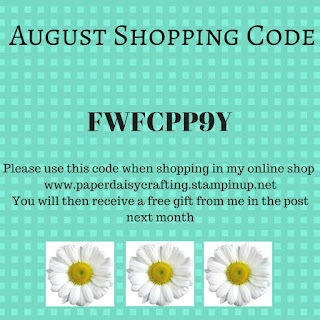 I just had to include it in my "daisy week". Please come back tomorrow for some more daisy fun - and a video tutorial.